The Channel View Hotel is in a unique location occupying an elevated cliff-top position overlooking Shanklin bay on the Isle of Wight. With over 50 bedrooms, the Gino Family personally oversee all aspects of this popular hotel; they are proud of their reputation for quality with a warm welcome, efficient service, excellent food and attention to detail. Channel View is renowned for its cuisine which is prepared for you by the hotel’s team of three experienced chefs. This hotel is an excellent choice for you to make, a real discovery, a place to visit and return to when the thought of a few days away becomes irresistible. After using software which they felt wasn’t supportive enough of their needs, the Gino family approached Hotel Perfect. Needing a simple system which manages their whole operation from Direct Bookings to OTA’s to restaurant sales and more. A real benefit to Channel View was the revenue generating features within the software. Dynamic Pricing enables automatic fluctuation of rates ensuring the hotel is selling rooms at the right price to the right person, at the right time. Choosing the technical security and cost saving option of Hotel Perfect Cloud, our team of experienced trainers installed and provided training on their new software within a week. 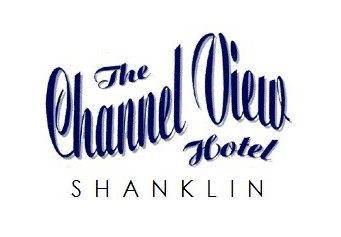 The Channel View team were confident with their new system and picked it up very quickly. Alongside Hotel Perfect Cloud additional modules were also added. Our Direct Booking Engine was styled to match their branding and integrated within their website, which has been successful in capturing direct bookings and generating additional revenue by being 100% commission free. Our Channel Management module allows the team to manage their OTA’s efficiently using Hotel Perfect alone. The ability to close rooms on all channels by just a couple of clicks, saves the hotel much valued time. The Events module was quickly put to use and filled up with a variety of functions which can be linked to room bookings, company ledgers and guest communications. All aspects of running the hotel at Channel View are now made easier with the suite of software products provided by Hotel Perfect.